Lancelot Andrewes (1555 – 25 September 1626) was an English bishop and scholar, who held high positions in the Church of England during the reigns of Queen Elizabeth I and King James I. 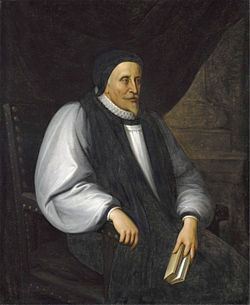 During the latter's reign, Andrewes served successively as Bishop of Chichester, Ely and Winchester and oversaw the translation of the Authorized Version (or King James Version) of the Bible. In the Church of England he is commemorated on 25 September with a Lesser Festival. Lancelot Andrewes was born at Allhallows, Barking, in 1555. He was an excellent scholar at Merchant Tailor's School, and gained a fellowship at Pembroke College, Cambridge. When Jesus College, Oxford, was founded, young Andrewes was invited to be one of its foundation fellows, and in 1580 he took holy orders. He was a great favorite with Queen Elizabeth, who appointed him one of her chaplains and Dean of Westminster. At the accession of James I, Andrewes rose higher still in Court favor, and was made Bishop of Chichester in 1605, and had promotions showered upon him. Andrewes became successively Bishop of Ely and of Winchester. He headed the list of authorised translators of the Bible in 1611. Fuller tells us that James I had so great an awe and veneration of Andrewes that, in the bishop's presence, he refrained from that uncouth and unsavoury jesting in which he was accustomed to indulge at other times. This admirable prelate, “an infinite treasure, an amazing oracle,” died at Winchester House, Southwark, on September 25, 1626. His English Sermons, at the particular desire of Charles I, were collected by Laud and Buckeridge, and ninety-six of them were published in 1628. In his lifetime there had only appeared a little volume of sermons on the Lord's Prayer, entitled Scala Cæli, in 1611. Bishop Andrewes was one of the foremost Biblical scholars of his time. He also was one of the translators of the King James Version of the Bible and was King James' favorite preacher. The Devotions of Bishop Andrewes was originally entitled, Preces Privatae, which translates to "Private Devotions." They are the private, intimate prayers of a very public and pious man. 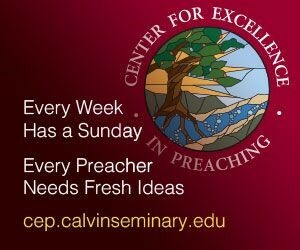 Andrewes was not motivated to write these devotions out of a desire to publish them. These devotions were written from Andrewes' heart out of love and devotion for our Lord. Andrewes is said to have spent five hours in prayer every day. Included in the collection are devotions for the morning and evening that he employed during his time alone with God.